This recipe seemed pretty easy to follow. The only changes I made were to cut the recipe in half ( since it was new and I wasn’t sure I would like it), and to use molasses instead of malt extract. I made the dough in my heavy duty Viking mixer and it was super easy. No kneading, Amazing!! I set the dough in the bowl to rise and continued with my cookie baking. After 11/2 hours it looked beautiful. I made the loaf as instructed and set it to rise again. After about an hour I put it in the oven to bake. I tested it at 32 minutes and it wasn’t quite done, 3 more minutes and it reached 200 degrees. It came out of the pan easily and looked nice. The kitchen assistant had a piece with honey and said it was really good. The response to the bread was much better then the response to the cookie I had made earlier. I thought the cookie was fantastic, the assistant thought it was too busy! Who ever heard of a cookie being too busy!! I have yet to taste the bread, but plan on eating it for breakfast in the morning. Hopefully I will agree with the assistant on this one. I wasn’t excited about this recipe. I missed the last one because I was on vacation in a rustic cabin and just couldn’t pull it off. 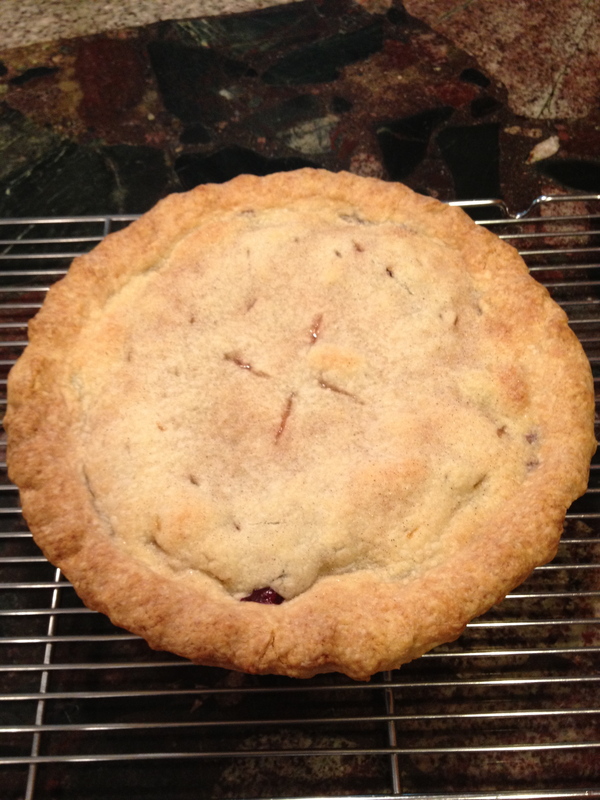 Thank you Carmen for emailing the recipe!! 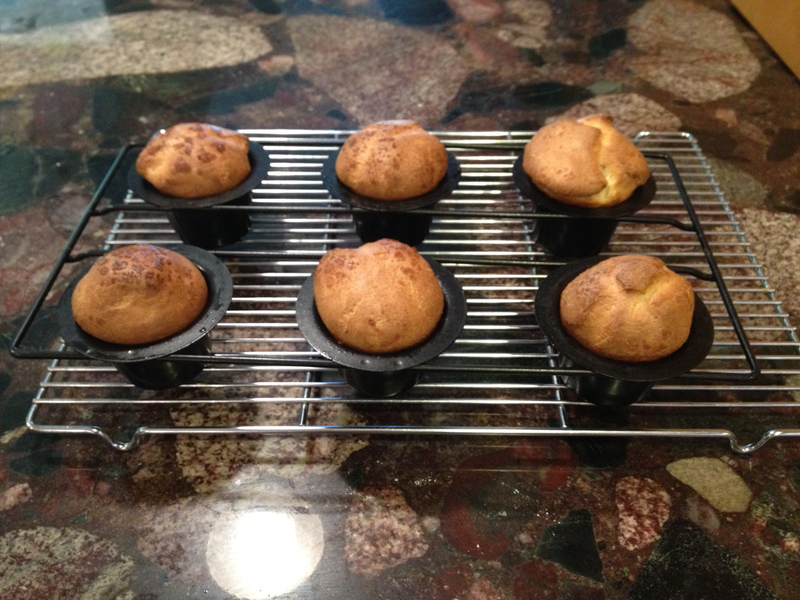 I have never made popovers and have eaten them a few times. They just don’t seem all that exciting. I borrowed my neighbors popover pan and began the process. The recipe was super easy, I made it in the blender. I filled the pan about 1/3 full and put it in the oven. I followed the instructions and didn’t open the oven for 25 min. I then let them cook at 350 for an additional 7 min. I had read from other peeps that some felt they were overdone if cooked the whole time. They looked good, had risen and came out of the pan easily. I tasted one without any thing on it and was not impressed. I had also just baked a new cookie and that seemed so much more inviting. I am sure the taste would have improved with butter, jam,or honey. I must admit if I am going to eat something that is baked, I am always drawn towards something sweet. These certainly looked pretty, were easy to make but I probably wouldn’t make them again. Pie is not my favorite, pie is the favorite of the kitchen assistant. I looked at the recipe and made a few changes. While I know many crust recipes call for the use of shortening I am not a fan of this ingredient. I used an old recipe (from my mother) that only uses butter in the crust. I also changed the ratio of fruit due to what was in my kitchen. I used 6 peeled nectarines and 11/2 cups of blueberries. I followed the recipe by cooking part of the fruit and then adding it to the uncooked portion. It had quite a bit of liquid so I added 2 TBS of cornstarch. I rolled out the crust, added the fruit and rolled out the top. I cut slits in the top and sprinkled it with cinnamon/sugar. The pie looked nice and cut quite easily. I thought the flavor was good and the crust very tasty. I expected the kitchen assistant to love this pie, that was not the response I received. Better luck next time! I Love biscotti!! I do not love hazelnuts!!! I decided to make half the recipe since that is my general plan with new baking endeavors. I also made some substitutions and additions .Out with the hazelnuts, in with toasted pecans. 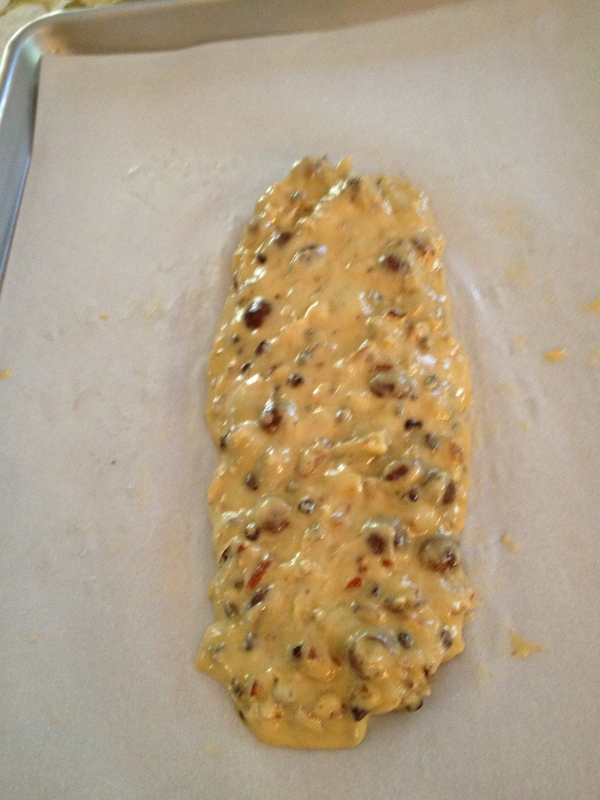 My favorite biscotti has chocolate covered raisins and chocolate chips so I added those to the mix. Also added a splash of strong coffee instead of the liqueur. I thought the recipe was pretty easy to follow. I was especially pleased with the idea given for the second baking. I have never done it that way but have certainly burnt many a finger doing it the traditional way. They came out nicely crisped. I will try this on my other biscotti recipes and see how it works, if it is successful then making this recipe was worth it for that technique alone!! I thought the texture of these was good, I felt the flavor was slightly lacking. The kitchen assistant, who is not a biscotti fan, thought they were tasty. 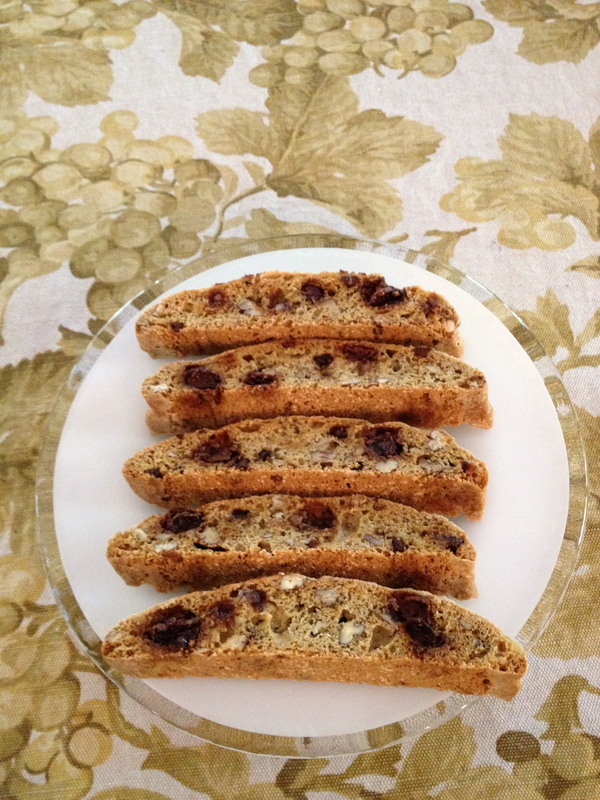 I would probably stick with some of my other biscotti recipes rather then make this one again. I was unable to bake for the last TWD post as I have been baking cookies for my small catering business. I started this venture about 1 year ago and have been really enjoying it. I LOVE to bake cookies. On Sunday I finished a large event and was not sure if I would be up for taking on the Naan. I asked a friend if she had ever made it and she said it was easy and she used to make it all the time. As is often the case, she is an inspiration. 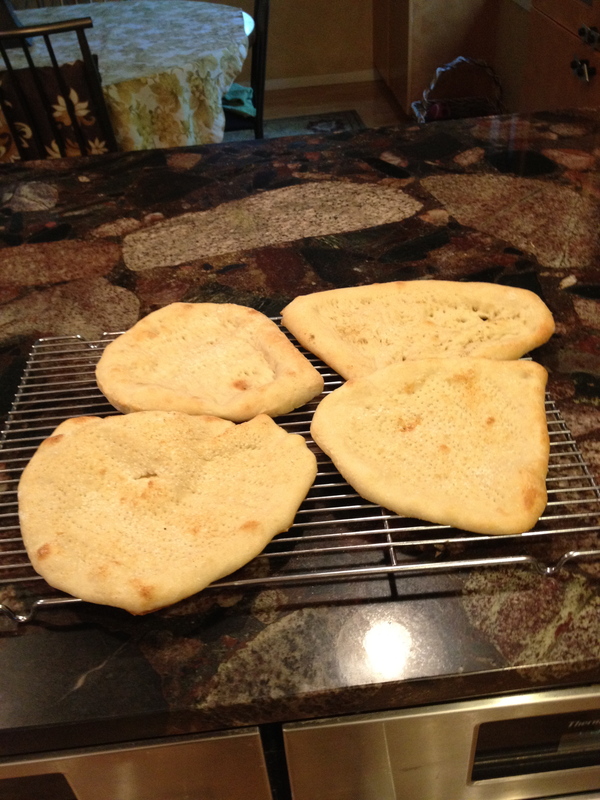 After making a batch of cookie dough and putting it in the fridge I made the naan dough. I cut the recipe in half as I often do with a new recipe. Also its hot here in Minneapolis and having the oven at 500 degrees didn’t sound pretty. (the least amount of time the better) I let the dough raise for about 5 hours .I then started the oven UGH! and split the dough in 4 pieces. I hadn’t looked at the color picture so had no idea what I was doing or what it should look like. I put different seasonings in each one and left the scallions off. I then noticed there was a color picture, mine didn’t look exactly like that but oh well. I took a bite of the one with cumin, pretty tasty, a little tougher then I had anticipated but good enough to eat. The kitchen assistant is working late so no comment on that front. I am glad I didn’t pass on this post, it needs a bit of work, but it’s good to try something new. I tried this recipe on Sunday. It was part of a cookie extravaganza, 4 cookies in one day!! 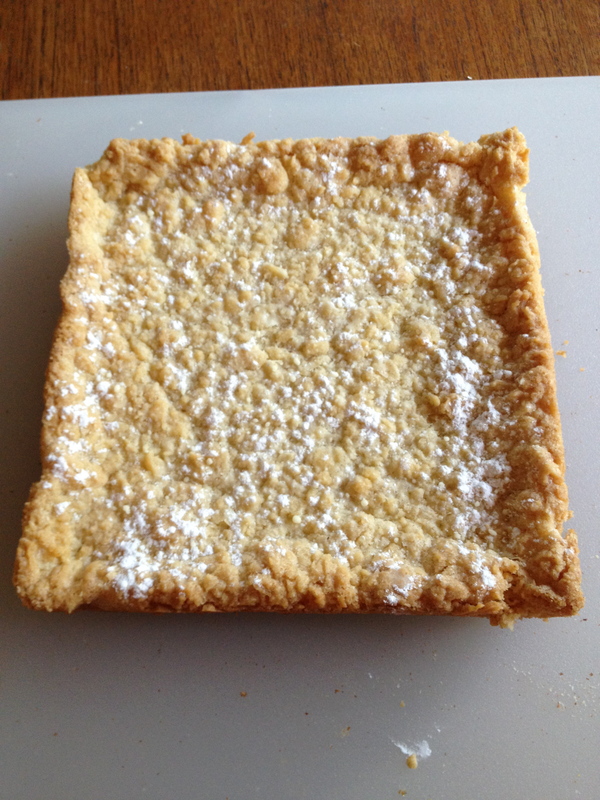 I had read the other baker’s posts (which have been incredibly helpful) and decided to cut the recipe in half and use a 8 inch square pan. I was unclear if I would really like this recipe and it seemed like a lot of butter to use if I didn’t care for it. 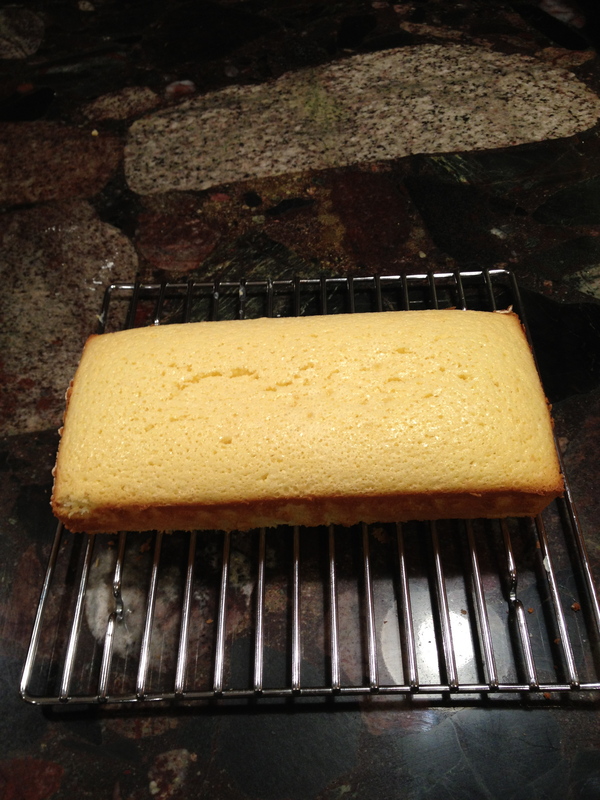 I followed the recipe as written until I had grated the bottom layer. I then baked this for 15 minutes. I spread apricot jam on the bottom and then grated the top layer. (Grating the bottom layer, enjoyed the process!! Grating the top layer, not so much) I put it in the oven and started watching it at 35 minutes. I continued baking for another 10 minutes and it looked good. I let it cool for a while and then sprinkled it with powder sugar. I took it out of the pan and cut it into small pieces and tried a sample. Very sweet, it seemed like a good consistency and yet not fabulous. I took some to a friend and said it was a semi loser cookie. Loser cookies are the ones that don’t quite make the grade, this was a semi loser meaning it had possibility. The kitchen assistant came one and tried it, not a loser ! !was the proclamation.Compared to the other cookies I made that day it took last place.Definitely glad I tried it but given the other successes of the day I wouldn’t make it again. This recipe was very easy. 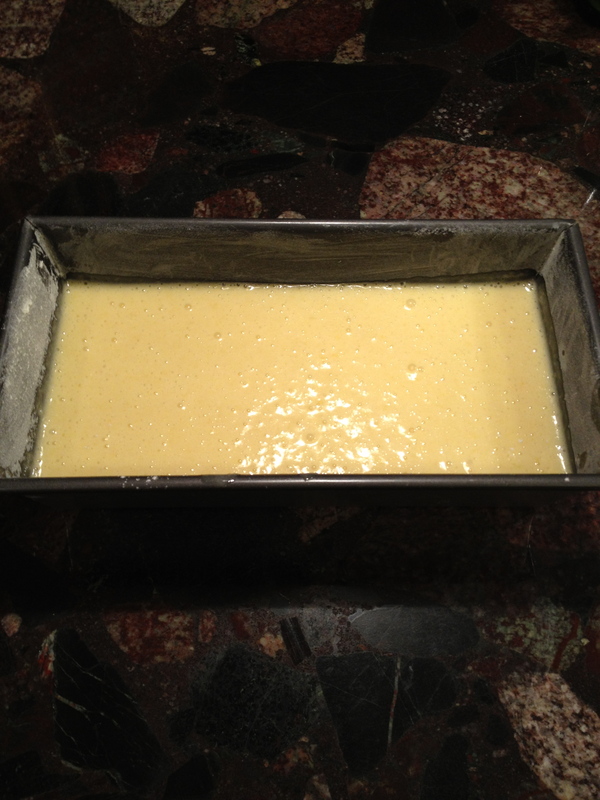 I followed some of the feedback from other peeps and added the juice of 1 lemon to the batter. It came together without much of a hitch.I was thankful for that because it had been one very long week and I was starting it after an all day seminar on Friday evening. I followed the instructions as stated in the book and then put it in the oven.I tested to see if it was done and took it out. I had expected it to be a little taller but oh well! I let it cool and then released it from the pan, once again no issue here. 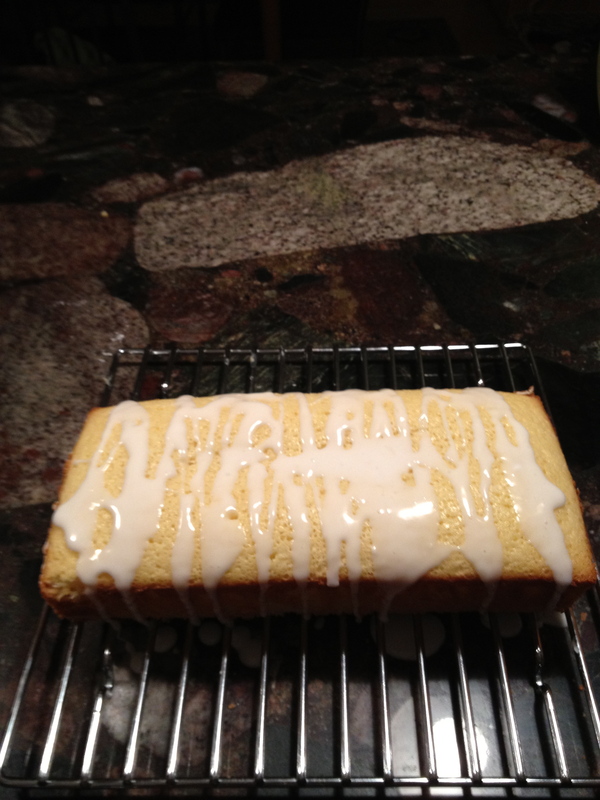 I decided a little glaze would add to it, so mixed lemon juice and powder sugar. My kitchen assistant thought it was very good, I agreed. It was moist and lemony. I think I may have under baked it a tad as towards the middle of the loaf it was slightly underdone. I brought it to day 2 of the seminar and all thought it was very tasty. 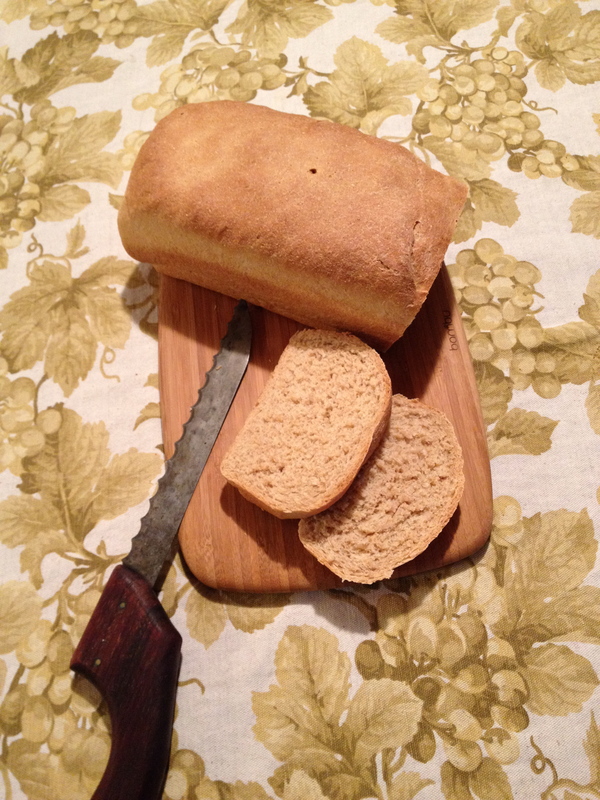 It seems like a nice breakfast bread and I would consider making it again.